Author: Cohen, Mark Set In . . . 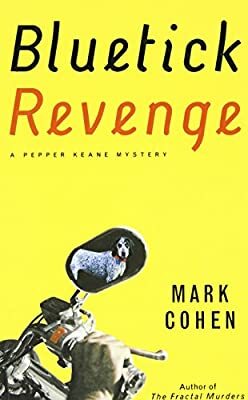 Description: - Mark Cohen's debut novel, "The Fractal Murders, was originally self-published and was chosen as a Book Sense 76 Top 10 Mystery in 2002 and was a finalist for the Colorado Book Award. Mysterious Press published a revised hardcover edition in 5/04. The book has received terrific reviews from "Publishers Weekly, Booklist, Kirkus Reviews, Dallas Morning News, and the "Santa Fe New Mexican.- Cohen's experience as a former JAG and municipal judge in Boulder, Colorado, gives his novels a terrific insider's perspective. His writing has also appeared in various magazines, including "Inside Kung Fu and "Camping & RV Magazine.